How can I add a clickable checkbox in Microsoft Word? Inserting a checkbox into a Word document is a common task when you create surveys or forms using Office Word. 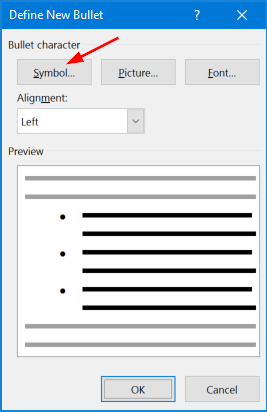 In this tutorial we’ll show you 2 simple ways to insert a check box in Word 2016. 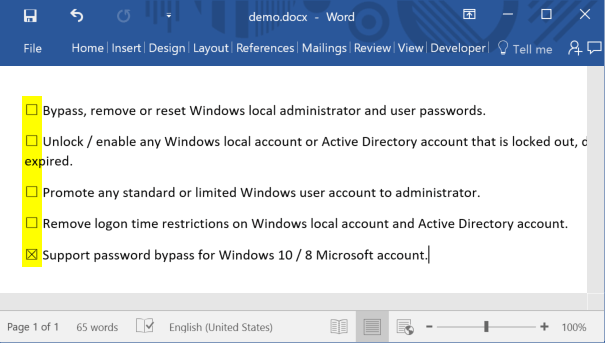 Select the list in your Word document. In the Home tab of Microsoft Word, under the Paragraph section, click the small down-arrow next to the Bullets button. Then choose Define New Bullet from the drop-down list. In the resulting dialog box, click Symbol. 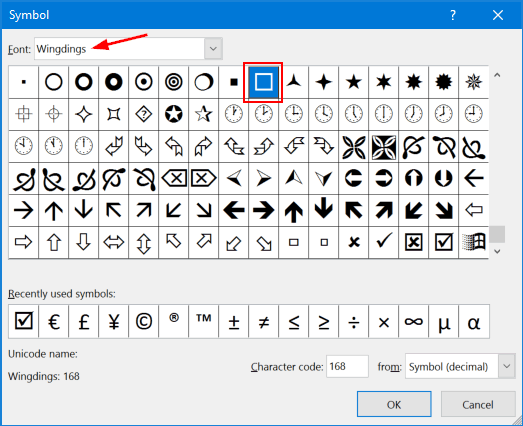 When you open the Symbol window, select Wingdings from the Font drop-down menu. Next you can select the check box that is either checked or unchecked, and insert it into your Word document. 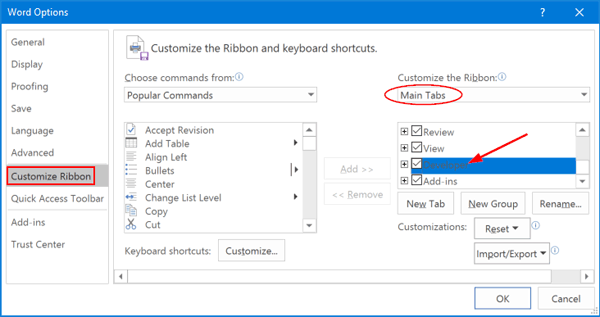 In the Home tab of Microsoft Word, right-click on an empty spot on the ribbon and then choose Customize the Ribbon. When the Word Options dialog opens, select the Customize Ribbon tab. Select Main Tabs from the Customize the Ribbon drop-down box. Check the Developer option in the list. Click OK.
Now you can see that Developer tab is added in Ribbon. In the Controls group of the Developer tab, you will see a small check box icon. Click it to insert a check box at your cursor’s location. Now that the check box has been inserted, you can click it once to toggle whether or not it’s checked.